Feb. 10, 2015. The SunSpec Alliance will be presenting and participating in the following industry events in the next few months. For further information or to meet at one of these venues, please email us at memberservices@sunspec.org so that we can meet. The SunSpec Alliance is proud to present its annual Members Meeting on March 31 in San Francisco, CA. The event will feature speakers at the cutting edge of smart grid integration, energy storage, smart asset management and solar finance. The all-day session on Tuesday March 31 will provide attendees with opportunities to learn more about the innovative work helping to make smart distributed energy plug and play. This session is open to SunSpec members in good standing. Please contact SunSpec Member Services at memberservices@sunspec.org if you need an invitation or meeting details. SunSpec is collaborating again this year with the SolarPlaza Organizers Main themes: Minimizing risks, optimizing performance, and maximizing financial revenues. Topics include: O&M best practices, performance engineering, financial stakeholder requirements, grid integration, financial asset management and the secondary market for PV assets. Attendees: Over 300 Asset Management and Finance (related) service providers, IPPs, utilities, project developers, asset managers, fund managers, investors, banks. Location: 1, 2 April 2015, Parc 55 Wyndham, San FranciscoDiscount For SunSpec members and supporters, SunSpec is able to offer you a 10% discount on attendance of the event. This discount can be obtained by applying the promotion code SAMNA-SNSPCREL during at Registration www.solarassetmanagement.us/registration. 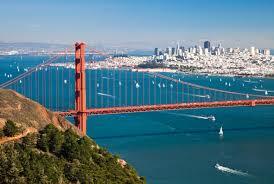 Intersolar North America; July 13 to July 16 San Francisco, CA. The SunSpec Alliance will again produce The Solar Asset and Finance Symposium, now in its fifth year. This year there will be two full days, with the first day (July 13th) focused on Finance and the second day (July 14) focused on Solar and DER Asset Management. More information will be forthcoming soon, if you are interested in collaborating in these conference email memberservices@sunspec.org .